← In praise of Angelique. 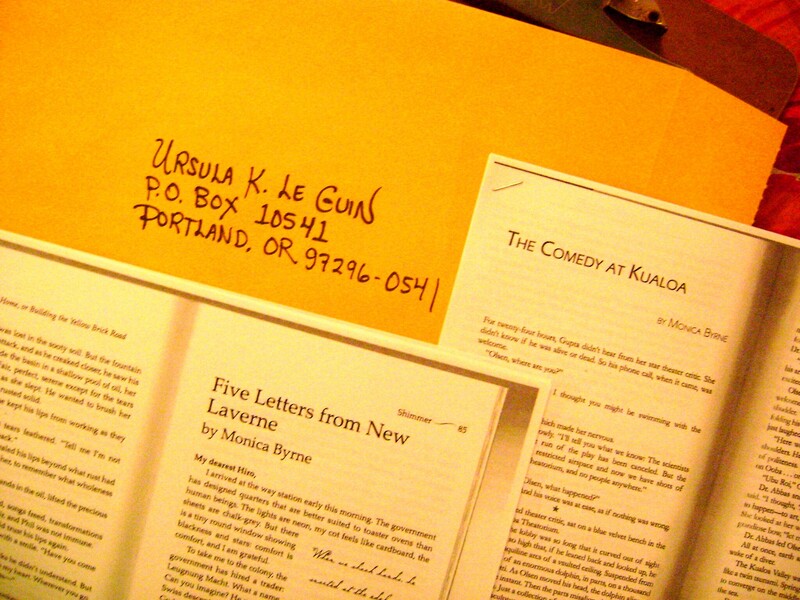 Every year, when the gypsy moth webs appear in the trees, I write a letter to Ursula. I’ve been doing this for six years now, ever since I became serious about writing. Though sometimes she (very kindly) responds with a thank-you note, I never expect a reply, or even particularly crave one. It’s enough to tell some of my story–milestones of the past year, thoughts on writing, notes from the journey–to an artist I so deeply admire. This year, I enclosed two of my published stories, both inspired by her work; so they are “descendants” of her stories. I hope they’re worthy ones.